Sing along with iconic entertainer Pio Terei counting down from ten kooky kiwi to one! Deborah Hinde&apos;s colourful kiwi characters act out this funny kids&apos; version of the popular singalong Ten Green Bottles, including CD by iconic NZ entertainer Pio Terei. This book is one of my favourites as an early childhood teacher, and it is also one of the most loved books by the tamariki in my centre. Being an early childhood centre we earn rewards through Scholastic through the form of vouchers to spend. What we get depends on what books we manage to sell. It is fantastic for a small community based centre - we get to get new books for the children without spending more money. 10 Kooky Kiwi was one of our purchases last year. 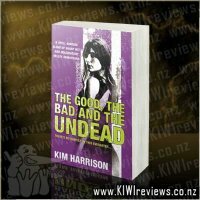 I love that the book is very Kiwi - based around Kiwi and featuring many NZ icons throughout the book. The tamariki love the nice bright colours in the pictures. I think we see something different every time we read it! This book is great to help children&apos;s numeracy learning - particularly counting backwards from 10. The song is similar to the good old "10 green bottles" many of us sang as children but is put into a fun context that many kiwi children can relate to. The book comes with a CD. I love this idea! It is great for time when the children want a story but you have just finished reading a big pile of books and want to give your voice a rest! The catchy tune makes it even more enjoyable for the children (and adults alike) and I often found myself singing it later in the day with the tamariki out in the playground! All in all one of my favourite books from Scholastic and one I would like to get for my own personal book collection. I absolutely love this book! Working in an Early Childhood Centre and having a 2 year old daughter of my own I read and see a lot of books. 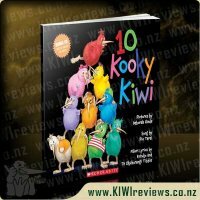 This book &apos;10 Kooky Kiwi&apos; is always a hit with the children I have read it to and my daughter absolutely loves it, it is one of her most asked for bed time stories. The pictures are so bright and colourful and are so well illustrated. 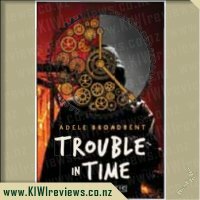 I first saw this book at my local Whitcoulls the Kiwi&apos;s on the front cover caught my eye straight away and definitely stood out on the shelf amongst all of the other books, the black background definitely helps with this. 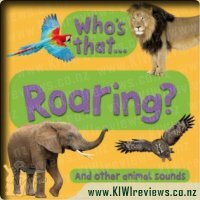 The book comes with a CD which you can use to sing along to the song, the tune is super catchy and is along the same tune as the song Ten Green Bottle, it is very easy to learn the words to it and the children love being able to join in and count down from Ten Kooky Kiwi to one! My daughter has listened to it so much that she now will sit down with the book without the CD playing and read it almost word for word, it is definitely a great tool for young children learning to count and a great self-esteem booster. The pictures are definitely well done and are done so creatively the kiwi&apos;s represent Kiwiana and the little icons amongst the Kiwi&apos;s hidden on the page are fun to find and talk about this book sure can provide a lot of experiences other than just counting the Kiwi&apos;s, it also provides a little game of hide and seek. CD story books are amongst the favourites of our children at centres and this one is sure one of our biggest hits yet! Will definetely be keeping an eye out for more books in this range in the future. We absolutely love the front cover of this book. My two year old went thru and named the colours and then we all had to choose our favourite before the story even began. Its so bright and vivid. The black makes the whole thing pop. The pictures are fantastic all the way thru the story and it was fun finding different items like the milkshake and ice cream and the hiding kiwis. It is a great aid in counting. I got both girls to find all the kiwis and then as reading/singing my daughter had to say the next number counting backwards, a fun educational tool. Going in the car to pick up my daughter from school I put the CD on and my two year olds mind blew. She started squealing saying we read this book and trying to sing along with Pip Terei. As soon as my five year old got in the car she started singing away also which was so encouraging. Personally I find the CD really grating - I would of preferred if there were sound effects or something instead of the one tone in his voice. 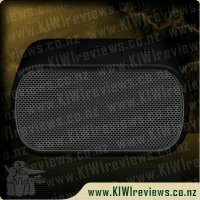 After the English version it goes on to Maori followed by an instrumental. Hearing the CD twice was enough and I am at the stage I would not like to hear again. I absolutely adore the book though and it has brought so much joy for both of my girls. My two year old loves going through each page and pointing out things like the cakes and saying how she wished she could have a cake. Actually, since reading this book when she is full she now says she has a stomach ache which she had never said before so sure it must of come from the Kooky Kiwis. You can&apos;t help but sing while reading it and it is helping my five year old with her reading as well as now she is trying to do it by herself. Working in early childhood we listen to a lot of books and cd&apos;s as they really appeal to the children. 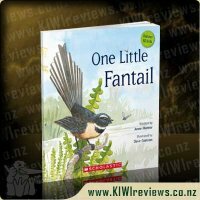 As we also do a lot of Te Reo throughout the day I&apos;m always on the look out for books while include this as well. When I found 10 Kooky Kiwi in the shop I knew I just had to buy it. I knew that the bright colourful pictures as well as the song would appeal to the children and having a cd with it was a bonus for me as it would give me a chance to learn another song in Te Reo. Getting the book home I wasn&apos;t disappointed being a familiar song it was easy to sing along to. After reading it to myself and listening to the cd it was time to try it out with the children. It was an instant hit and by the second time through the cd they were singing it completely in English and trying their hardest in Te Reo as well. A week later they were singing both, the cd has really helped with our counting both in English and Te Reo. The book is now one that is on the request daily list and it&apos;s often played over and over again. While it drives some people crazy I don&apos;t mind it at all. 10 kooky kiwis is a lovely book, full of bright colours, and fun lyrics sure to entertain and enthrall many children of all ages. Sung by Pio Terei, this lovely book has already been read, or rather sung, several times by my 7 year old. And of course sung a number of times by me also. I love the bright colours of the kiwis and the quirkiness of the illustrations. 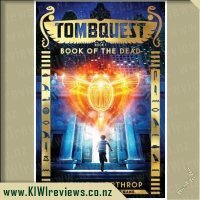 I am a huge fan of books that have Te Reo so was over the moon to discover both english and Maori lyrics in this book. Admittingly I required the help of my children for pronounciation BUT if you do not speak Te Reo at all, do not be deterred. 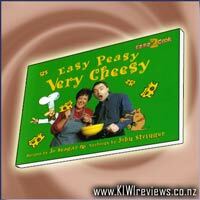 The book also comes with a compact disc, featuring both the english and Maori versions of 10 kooky kiwis. But be warned if your children ask you to play the disc in your car, you might find it hard getting them to let you play something else instead. As I have already said the book is brightly coloured with fantastic illustrations. For some it could easily become repeditive, but for kids this is not the case. It is a quirky and catch song that will either have you singing it later when its long finished being read or sung. Its a lovely book sure to delight many ages. The price is reasonable because it comes with a compact disc but if I was to be really honest I would probably only pay $15 for it. To start with, the cover of the book appealed to me. 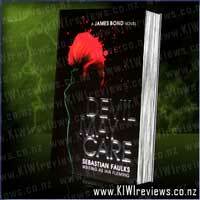 The black background and the gorgeous, bright illustrations of kiwi on the front. A cover is a very important part of a book as it draws the potential reader in and this book definitely did this. My kids and I are also really into the books that have the CDs to go with them, as it means the kids can listen to a story even if I am not available to sit with them. It also adds an extra element of interest for the kids. So again, this book appealed. I like to read books that have a special New Zealand flavour to my children. It means that we have something close to home to talk about and enjoy. It is also nice to be able to support New Zealand authors and illustrators. You can&apos;t get much more Kiwi than a Kiwi!! I gave the book to my four year old son to have a look through and tell me what he thought about it before we read it (or at least sang with the CD). 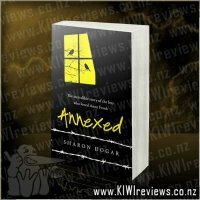 He looked through each page and he drew attention to the individual Kiwi in the book and noted the emotions that were portrayed by each Kiwi. He said that he liked them "because they were kind of funny". He took his time to notice what each Kiwi was doing. There was lots to talk about and discuss, even without reading or listening to the words. I put the CD into my computer and noticed that iTunes didn&apos;t pick it up in its database. I often play CDs like this through my laptop and I love it when it comes up with the name of the CD and the tracks. As I played the CD to my son, I sang along and he sat and watched the illustrations and listened carefully to me and the CD. When we got to the version in Maori, he listened equally carefully and was trying to work out which page he should be on. He remembered the spoken bit just at the end of the English version and was waiting to hear that in Maori. In New Zealand, we have two languages and it is lovely to see a book embracing this. It opens up both languages to the children and also to the adults who are reading to them. The fact that there are both versions in the the one book is very supportive to people who have limited knowledge of Maori as it allows cross checking between the versions to work out what words or phrases mean. The CD has three tracks. 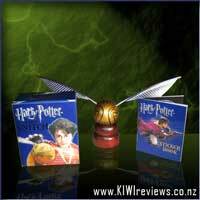 An English version, a Maori version and a backing track without lyrics. I liked the variety as it meant that we could attempt to sing the words by reading the text ourselves. I think it would be useful to have the written music at the end of the book so we could join in with guitar or ukelele. It is always nice to be able to extend a book in as many ways as possible and being able to play our own music with it would be fantastic. This is a book that my children and I will continue to enjoy. I will have to keep reading it until I can sing all the lyrics in English and Maori without tripping over my words. This will keep it interesting for me as well as the children. 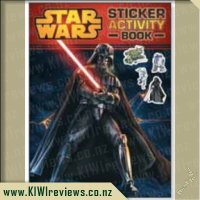 I recently won this book through KIWIreviews and I was stoked. My daughter loves birds and is especially in love with native birds. You can&apos;t get much more native than the Kiwi and she knows a lot of things about Kiwis. We sat down with this book at bedtime tonight. Usually during bedtime story, if its a book she is not interested in she will potter around playing in her room. I knew this book was immediately beloved by the way she sat so close to me. The way her eyes were fixed on the pictures and the lack of protest when I suggested she read a word or two for me. The illustrations in this book are really zany and bright. Each kiwi is a bright colour and they all have their special personality. As we read through, each kiwi drops away from the group and we talked about what was happening and why. Some of the pictures allowed us to talk about feelings. Some allowed us to talk about different styles of art. On each page there are hidden numbers too. So we got to play a game as part of the story. Sometimes I find that books that are re-stylings of a traditional song don&apos;t fit to the tune as well as I would hope. This book was not awkward to read or sing aloud. I didn&apos;t stumble over the words even on the first reading which was impressive. The CD that accompanies it is quite good. Three tracks; Pio sings in English then Maori and then there is a instrumental as well. I thought the Maori actually flowed the best, though I&apos;m not much good at pronunciation when I try. A lovely book and the CD will be making its way into my car soon! 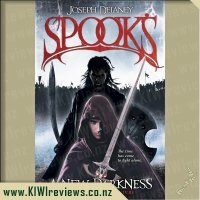 10 Kooky Kiwi, you throw those two words into a title, Kooky and Kiwi, and I&apos;m going to want to read it, well, me, my mum, and all three kids will want to read it. Happily I got chosen to review it, yay, and just from looking at the cover I knew it would be a book the whole family could love. Now, I suppose you could just read the book, but I know the tune to 10 Green Bottles, and so not to sing 10 Kooky Kiwis would have felt stupid to me. The kids loved hearing me sing the words, but after awhile my voice got more than a little tired and so it was great to be able to put the CD on and leave it on repeat. The illustrations in this are delightful, bright and vibrant, and I like the fact that if you go through the book a little slower and examine the pages, each page has the number relevant showing somewhere in the illustrations. My kids really like this book, it&apos;s a nice, simple yet so much fun book and one that has hardly been left alone, trumping the other books in their personal library. When I was bought home a pile of picture books to review 10 Kooky Kiwi was the first book my girls (3 and 4.5) demanded I read. The brightly coloured kiwi are in a pyramid are so adorable with their funky hair, clothes and glasses. Even the title is colourful with every letter in a different hue. As soon as I started reading the book I recognised the tune: 10 green bottles. As I was singing it the children joined in. Unlike the traditional tune a different thing happens on each page so it we don&apos;t get bored with the book. I did find there were a few lines that were hard to fit into the tune on first reading but when I have sung it since I all seems to fit nicely. Since we got the book I have had to read it several times a day. It wasn&apos;t until I read it a dozen times that I noticed that the number was hidden each page. This has the children competing to be the first to find the number when I turn the page. The illustrator has put a lot of thought into the pictures. The expressions on the kiwi faces and other details in the illustrations has lead to many discussions. The accompanying CD has three tracks. The first is in English and is easy to sing along with. The second is in Maori which is great for people like me that don&apos;t have the confidence to read in Maori. The final track is instrumental. All the tracks are simple guitar strumming which fits well with the simple singalong tune. Another thing I like about this book is that kiwi is both the singular and plural which is how it should be with a Maori word. 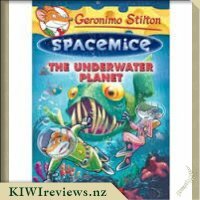 Too often in books a Maori word is corrupted by adding an s. This is a very delightful book which is a hit in my home. The heat is on as someone seems to be melting the polar ice cap. 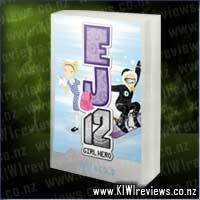 Special Agent EJ12 needs to crack the codes and keep her cool to put the evil-doer's plan back on ice. So why can't she handle the school Ice Queen of Mean, Nema?